Whether you prefer sweet or savory, these bite-size appetizers are perfect to serve for the big game or as a simple treat for your next school snack, picnic or barbecue. Line baking sheet with foil, and then parchment. Cut slices of bacon in half. Tie each piece into a knot and set on baking sheet. Mix brown sugar and maple syrup in small bowl and brush over each bacon bowtie. Sprinkle with fresh cracked pepper. 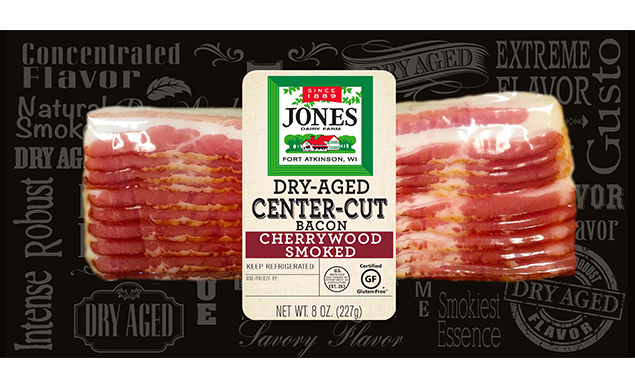 Bake for 30 minutes, or until bacon reached desired degree of crispiness. 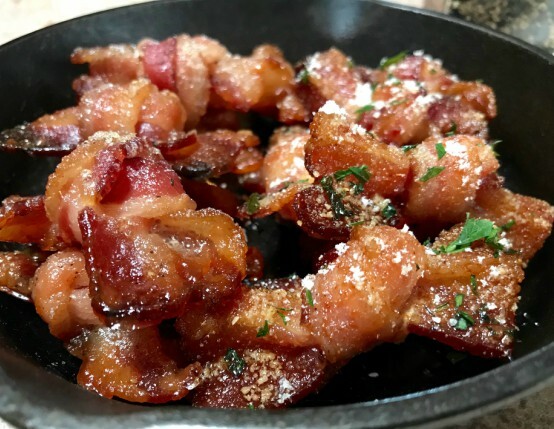 Sprinkle garlic powder over each bacon bowtie. Bake for 15 minutes, remove from oven and sprinkle with parmesan cheese, parsley and cayenne, if desired. Return to oven and bake for an additional 15 minutes.